The key to knowing how to select anaerobic digestion companies for the best outcomes from any biogas or biomethane project lies in understanding the company structures within the AD trade. The anaerobic digestion companies which are available are now very diverse. Clients seeking to engage a contractor or contractors, who will be able to provide the service each client needs need to navigate through many options. It would be easy for those new to the anaerobic digestion and biogas scene to become confused. Not least about the terms used to describe each type of anaerobic digestion (AD) company. Hint 1: What is the Main Difference Between Anaerobic Digestion Companies in the West Compared with in the Less Developed Nations? In the industrializing nations by far the biggest demand for AD skills is for the installation of relatively small manual gravity fed buried anaerobic digestion systems. These are built usually in stone or brick, and assembled on-site using skilled labour trained in this type of domestic and livestock farm digester. In countries like China, India, and quite a few African states such as Kenya, Tanzania, and Nigeria, a search for biogas companies will result in many hundreds of small low tech businesses. The task becomes one of finding a reputable company not too far away, to avoid high travel costs. By contrast, the anaerobic digestion companies of the developed nations are set up to build much larger and more technologically advanced commercially operated AD Plants. The main difference between the two types of anaerobic digestion companies is therefore size, and the technology used. Hint 2: Are “Anaerobic Digestion” Companies the Same as “Biogas” Companies? The answer is usually, but not always. In the industrializing nations the term “anaerobic digestion” is rarely used, and instead “biogas” is used. Clients in these locations needing an anaerobic digestion plant to be designed and installed for them, would do best to search for a “biogas plant installer” or a “biogas plant company”. In the developed nations, a biogas plant will have a slightly different meaning to that in the less developed nations. In western countries such as those in Europe, the US, South America etc., there are very few home, or small community biogas plants. This reflects the fact that few, if any, wealthy residents want to have a home biogas plant which is perceived as smelly and dirty. Those that there are, tend to be co-operatives and community groups. Groups which often have a low profile in the region, but often will pass on expertise. Being very willing to instruct others interested in sharing their skills in building small biogas plants. In those locations, asking around locally is the best way to find such groups. Biogas Plants in the developed world are much larger. They are always above ground tank installations, and companies which build them are called either “anaerobic digestion companies”, or “biogas plant companies”. Operates one AD Plant, or more. If a company calls itself an anaerobic digestion company in the west, it is most often involved in the design and installation/ commissioning/ operation of AD Plants which process Residual Household Waste, Food Waste etc. Hint 3: What are Anaerobic Digestion EPC Contractors? 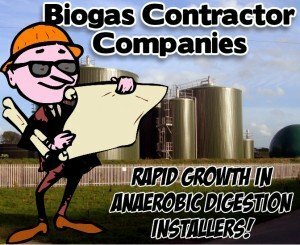 Anaerobic Digestion EPC Contractors are better known as “AD plant installers“. But, they are more than that in most cases, because they usually do the anaerobic digestion plant design. By “design” we mean in which a process design is done, the necessary tank sizes are calculated. From that a suitably equipped, sized and shaped AD plant is designed, and specified. Beyond that EPC Contractors are usually expected to have the skills to commission the AD plant, on completion of building. And, even to train the client’s staff in how to operate the equipment that they have installed. Hint 4: What are “Turnkey” and “Package” AD Contractors? These organisations are contractors who are EPC Contractors (designers and installers) who will carry out all the necessary work in advance of handover. This will usually include commissioning the plant with suitable feedstock, and then a handover of the completed and operational Anaerobic Digestion Plant for the client to operate it. If the AD plant budget will stand it, it makes good sense to sign an initial operating period into the Construction Contract. This operating period is the responsibility of the Turnkey Contractor to demonstrate the equipment works. Hint 5: Why Do Clients Instruct AD Consultants? 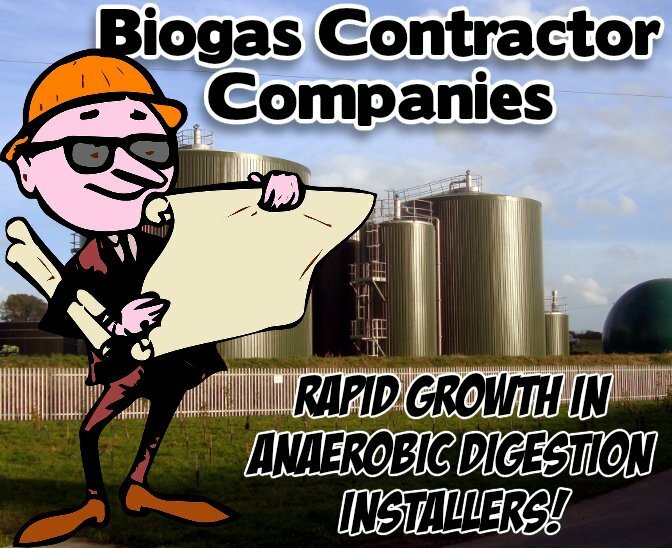 Anaerobic digestion consultants are available with their own AD Companies, who specialize in nothing but advising clients about their biogas plants. Before the project is built they can be essential to help the biogas plant promoter put together a fully costed business plan for installing the AD plant. Robust cost estimates need to be worked up to show how the installation will earn a profitable level of income. This needs to be done in a way that will show investors that the project is a safe money-earning and “bankable” opportunity. AD consultants, when they do their job well, can save the promoters of these plants many thousands of dollars. Avoiding costs in delays in getting such essentials as planning permission granted is one. Another, is skillfully selecting suitable feedstocks available in the market. Feedstocks selected need to be available for processing all year round at a reasonable acquisition price, at the location of a specific AD plant. Consultants are used in the developed nations, at least in-part, to take the burden of organizing the project (project management). They can often also be useful to ensure that the biogas equipment is bought and installed fully in accordance with the contract agreement. This is so that the AD plant is of the intended (hopefully high) quality, and that the equipment will act as desired in order to be reliable for the business using it. There is a very wide variety of anaerobic digestion companies available. Clients setting out on any biogas plant project may choose a full service, single point of contact EPC company, at one extreme. They will award a single Contract for Design, Construction, Commissioning and when all is done turn the key on their new facility fully operational on completion handover day. Alternatively, at the other end of the spectrum, a client may seek to administer the entire project by separate contracts. In such instances work will be awarded to a large number of specialist anaerobic digestion contractors, with the client or his consultant co-coordinating every stage. There are benefits in both approaches arising from many factors, but the first stage in any selection of anaerobic digestion companies to build and commission any biogas plant is understanding the types of available companies as outlined here. Please, do give us your feedback by commenting in the comment box below, if you have time. How many biogas EPC contractors are there which truly provide the whole package? Don’t most make out they do, and only later you discover parts have been quietly subcontracted out. Probably no more than half a dozen companies provide their own in-house equipment for all parts of an AD plant. Does this really matter if the EPC Contractor only uses high quality equipment?